Choosing the right towel for us is what makes us comfortable whenever we used them. We have standards of our own that, we can only find when we go shopping or look for it. I previously have different kinds of towels before, no names and has brand names, yet there is always one thing that is missing. Sometimes, the softness isn't what it was in fact in the description it says. Or the length is not just enough. 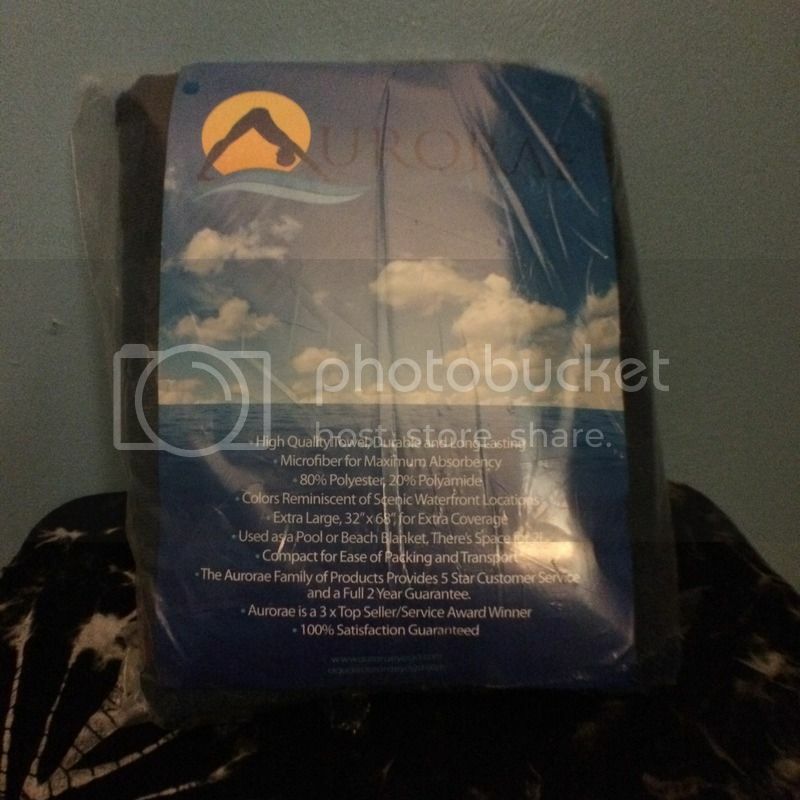 I'm very fortunate, that Aurorae is kind enough to allow me to work on a product review and one of them is to try and share my experience of their Sport And Swim Towel by Aurorae Aqua for Beach, Pool, Camping & Travel, Microfiber, Super Absorbent, Extra Large, Lightweight - Pacific Twilight. In which also comes in so many different colors. I picked the Mediterranean Seas color, because it looks cool in the eyes while I was choosing online. It has a dimension of 32" x 68" long. Why I like this product? One of them is the length of the towel. 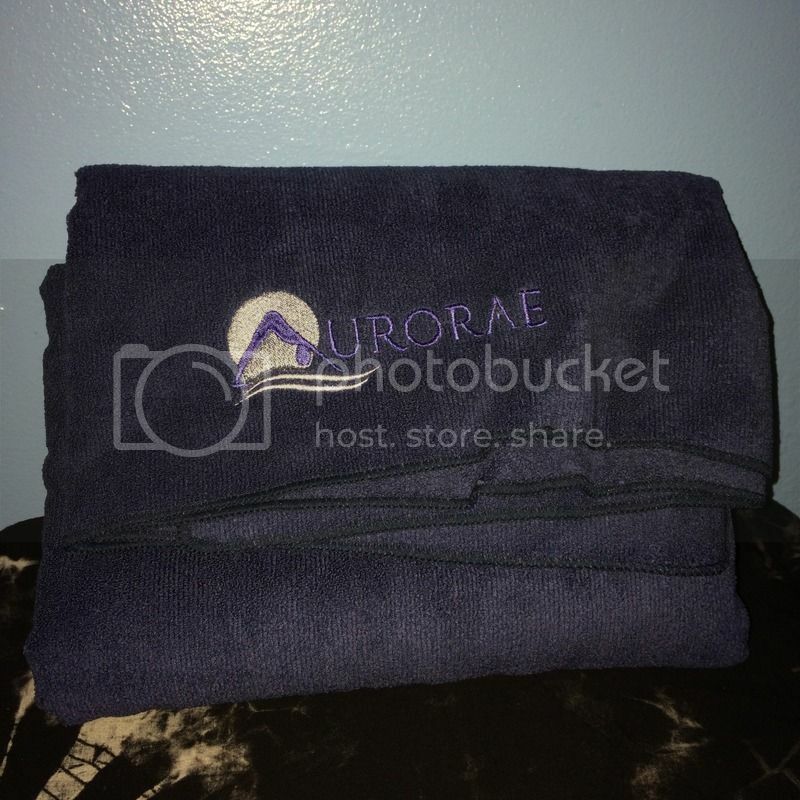 Aside from the fact that it is soft and microfiber, it is also absorbent that when I used the towel it absorbs the water right away. Lightweight love the Pacific Twilight color that I picked because it is truly what Pacific Twilight color is. I like the extra large because it will truly cover me, it is not that I am big, but I am a petite person who I'd like something that is wide enough. I have to say that my experience with the towel is great. I'm happy and satisfied with what it can do for me. Easy to wash and quick to dry too. I have one of these and love using it when I am doing yoga. I also have the small size which my daughter uses. I don't pick towels that are rough to the touch because my skin is sensitive. This looks like a good towel to use not just for swimming but for everyday baths as well. Lightweight and absorbent towels are perfect for travel and sport activities. I LOVED my towel too Mommy N. I used it all the time now. It feels so soft and lovely color too. Seems a good item to have. My wife and I stay away from having beach towel ,. Bulky kasi at ang hirap labhan. I used mine yesterday while taking a shower Mommy N. I LOVED the softness when it covers my body. Judging from the photo, that towel looks comfortable and durable. That's exactly what I look for in towels, plus absorbent, too.